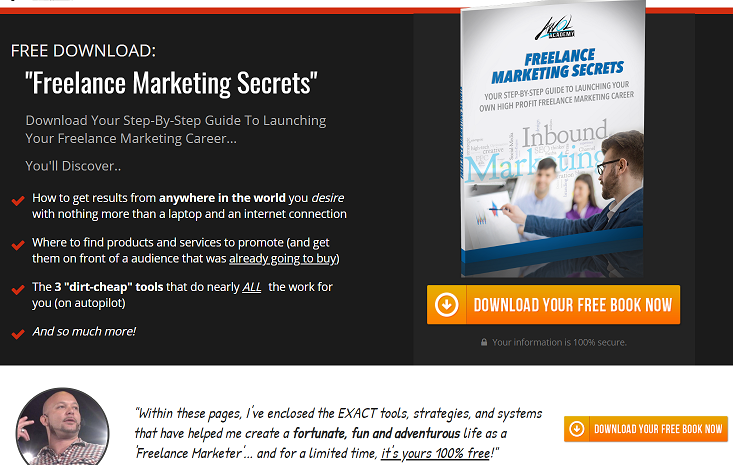 Freelance Marketing Secrets Review – Another Scam? Looking for the best and legitimate way to earn money online is really tough. 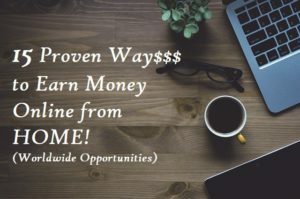 It requires a lot of time to researching and since there are a lot of scams, craps, and garbage programs out there, this can be very frustrating like walking inside a jungle trying to find a bar of gold. So, you probably heard about Freelance Marketing Secrets and you need to know if it’s a scam or a good way to invest yourself in. But before I start with this review don’t forget to get my FREE guide (with 6 days email course) and other free gifts in building a 6-figure online business. Freelance Marketing Secret is actually a digital campaign from AWOL Academy. It’s just a FREE PDF file so that they can get your email and promote their main product which is the AWOL Academy Training Program. AWOL Academy is, of course, a good and comprehensive training program about – affiliate marketing and coaching program. There are a lot of people who are promoting it because it’s a high-end product, which means the commission package is very attractive for the affiliates. In order to promote AWOL Academy as an affiliate, you need to pay a subscription fee, which is normally free for a lot of affiliate platforms and companies who are offering this opportunity. Honestly, the secret inside the Freelance Marketing Secret PDF file is the training program you will be offered through email, which is the AWOL Academy itself. If you are new to affiliate marketing, it is really advisable to learn how making money online really works and it’s through a comprehensive training program. 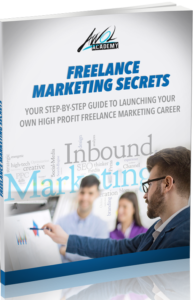 The real secret in freelance marketing is to learn how it really works. So, that’s not really a secret at all. The PDF File will lead you a marketing video of Awol Academy and you will be invited to a FREE webinar (Web class) which is again promoting the AWOL training program. Once you click the “download button” you’ll be shown a video of Keala giving you a short tour in his mansion, while talking about “making money online”, his vacation trips and his massive income statements. You will even see him lying on the pile of checks. If you say yes, then you need to think twice. These are people who need information about something or anything you want to work with. For example – you want to target people who are looking for tricks and tips about a particular sport or a particular weight loss diet. Then, then these people will be your audience. So, an audience is basically the people you want to target in your online marketing business. However, there is a big step that is very important and is hidden in matter. 1. You need a website – either you build it or get someone to build it for you. 2. You need to write valuable contents (information) on your website consistently for your audience. So, once you have your website up and running, you need a product or products to promote to your audience in order to earn money. When you write valuable information, you can promote a particular product which offers affiliate commission, Then, insert the affiliate links in your contents. Once, your audience clicks the links and buy through these links, you’ll earn commissions. There are a lot of affiliate platforms and networks you can start with such as Clickbank, Shareasale, etc. These are free of charge. 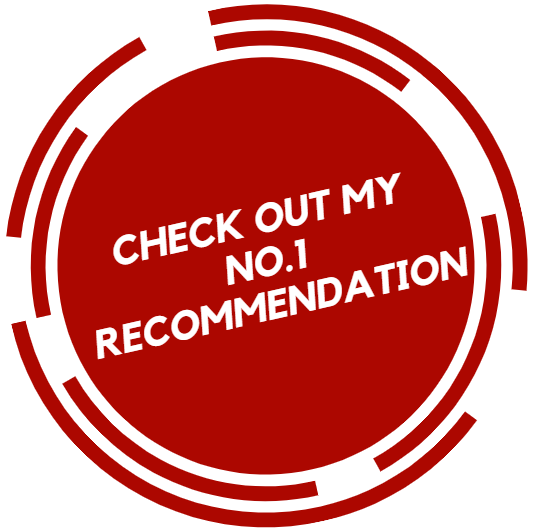 Awol Academy will, of course, recommend you to promote their training program as it offers a huge commission package. It’s of course up to you. What you’ll be doing in creating a sales funnel for your business is gathering email list – like this Freelance Marketing Secret PDF file: They want your email in their list so that they can keep promoting you the product over and over again. So, you’ll be going to do the same. You’ll capture peoples emails through landing pages, sales page, squeeze page, webinar, videos, advertisements, contents, etc. The World’s Best Training Program. So, is Freelance Marketing Secret a Scam? No, definitely not. Freelance Marketing Secret is actually not the product itself. It is basically just one of the marketing strategies of AWOL Academy to capture you in their own sales funnel. It will just tell WHAT to do, which is: finding an audience, finding products to promote and creating a sales funnel. It will NOT tell you HOW to do it. Yes, the PDF file itself is free but you have to join AWOL Academy in order to learn HOW to do it. I have recently made an honest review of Awol Academy and I know this affiliate training program is a comprehensive and legit training program. The training program is a comprehensive affiliate program and coaching opportunity. If you have read my review, then you’ll know why I don’t highly recommend it and this is due to their multiple and pricey upsells. You could end up using up to $15,000 buying all the upsells. The prices are recently updated but it’s still too expensive at the price of up to $11,000 in my opinion. So, if you are willing to pay that much then go ahead and join the AWOL Academy. However, I know a much better option in learning how the internet and money making online really works using the amazing way of affiliate marketing. Affiliate marketing is an amazing type of online business that has made many people a huge fortune while others are “just” earning around $10,000/month. This is what I’m doing and I love the freedom to work at home or anywhere or while having enough quality time taking care of my kids. 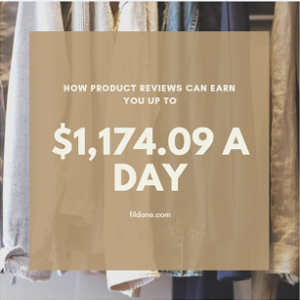 See, how I can earn up to $1,174.09 a day by making product reviews and how you too can do it. There are many reasons why you should use this concept to earn a full-time income from home. And these were my reasons when I started with this business. I can work entirely just with my laptop and internet. 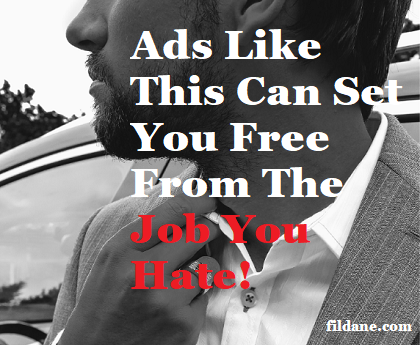 So, if you hate face-to-face rejection, product demonstration, public speaking and certainly not a fan of recruiting your families and friends just to earn money, then this is the best business for you. Searching for the best affiliate marketing training program around the web since 2009 has brought me to Wealthy Affiliate back in July 2018. I have made numerous money-making-online product reviews and Wealthy Affiliate is the best among the rests. The price is very affordable – in fact, you can start for FREE (no credit card required). You can get Starter Account and you can stay as a free member as long as you want. 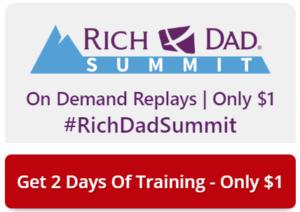 You’ll automatically get 7-day free premium access in the training program – again for FREE. You’ll 2 free websites as a free member. FREE 10 modules on Affiliate Marketing Bootcamp. And free mentorship and coaching for 7 days. 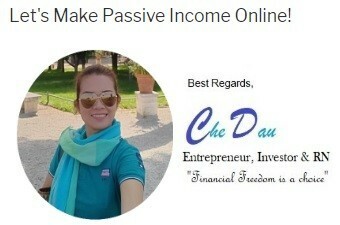 A great community of online entrepreneurs – very interactive. All of these are FREE! Believe me, there is NO place like this anywhere. Give it a try and you’ll find out why! So, does the Free Account and 7 days premium access attracts you? Then, you should see what awaits you as a premium member. How much? The normal price is a monthly subscription of $49 – That’s nothing compare to AWOL Academy’s training package prices, right? Here’s what’s more exciting. If you upgrade within 7 days, you’ll get a discounted price of only $17 for your first month as your bonus. This is really great because once you get seriously started, you can actually finish the whole training within a month. I finished my training in just 26 days but that’s me. Maybe you can finish your training earlier or later than 26 days. If can also avail a huge discount if you chose a semi-annual or annual membership. The training is really comprehensive – you can see what you’ll get as a premium member and how much you should expect to earn in driving an online affiliate business. Guess what? 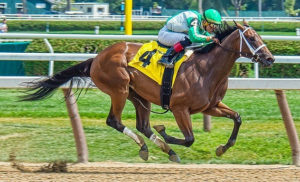 You can actually earn while you learn just inside the platform, so your monthly subscription can be minimized or paid free by doing simple website comments. Plus, the community is priceless they will support you all the way to your success. This is the end of my “Freelance Marketing Secrets Review – Another Scam?”. I hope you have learned more about this product/opportunity. Wait! Don’t forget to get your free gifts here. These are very useful throughout your journey. Is Five Minute Profit Sites a Scam? - Can You Really Make $519/Day? Traffic Multiplier Review: Online Business Must Have? !